Just a simple, rainbow stripe pattern. Forgive me for my messiness, I was poking around with a toothpick in the dark while watching New Girl... Not that easy. 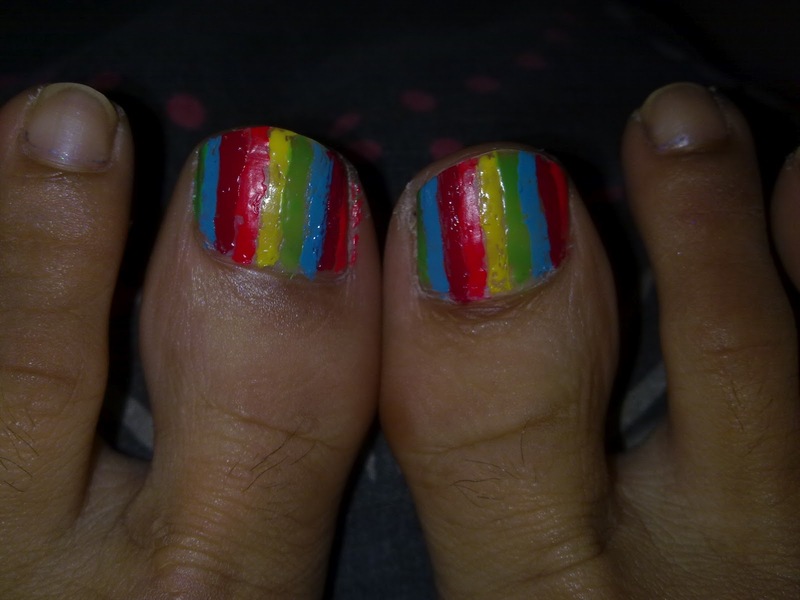 I only did my big toenails because that's all I had time for, but throughout the week I'll try and do the other nails! Expect to see toenail projects throughout the term! Not two per day but two per.. month. Maybe.